I am so excited to create lasting friendships and explore the area during this amazing getaway with each of you! It will be a week we will never forget! 10 people have already booked this trip! 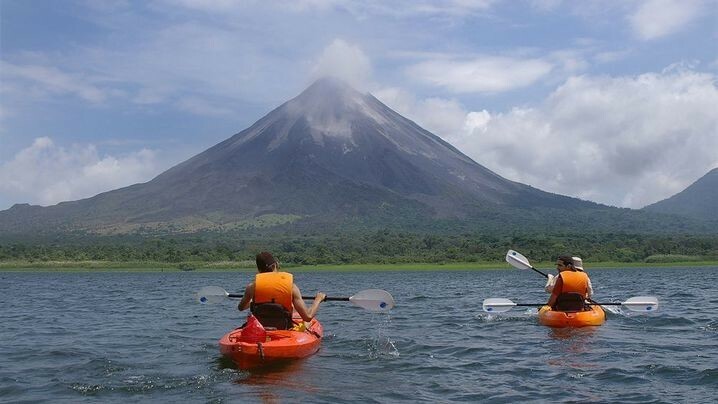 Delicious farm-fresh cuisine and activities to take you on an adventure through the rainforest, this trip is the ultimate way to relax, energize, and indulge, all on the shores of Lake Arenal in the heart of the Costa Rican rainforest. Not included: flights to/from Juan Santamaría International Airport (SJO) and travel insurance. Guests are responsible for purchasing travel medical insurance and cancellation insurance which are also not included. Hi! My love for fitness started many years ago and has continued to develop into my true passion. I love what I do! Having the opportunity to help others reach their fitness goals...even when they thought they were impossible to achieve, is what I strive for every day. I love hiking, swimming, cooking, reading, exploring new cultures and making new friends around the world. Kickboxing, bootcamp, cycling and yoga-based fitness classes. This was the best trip of my life, by far! Rancho Margot was incredibly welcoming and inviting. Each of the volunteers/staff were accommodating and very friendly. The ranch itself was absolutely beautiful. 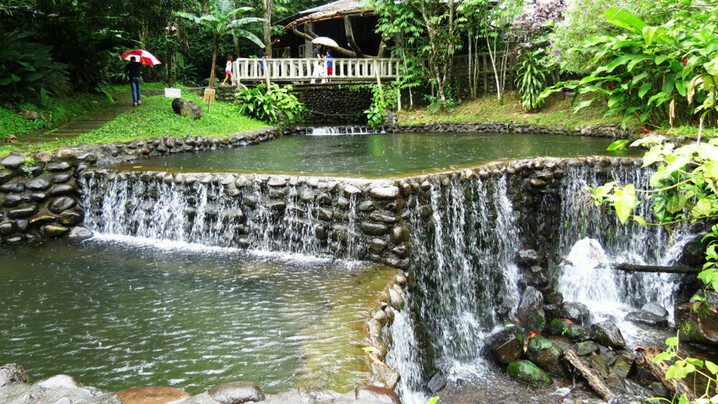 There are trails leading through the trees/plants to get to yoga, the cold springs, bungalows, the gardens, massage, and so on. Some things to know: bring a raincoat if you have one, you'll get wet! A travel umbrella would also be very useful. 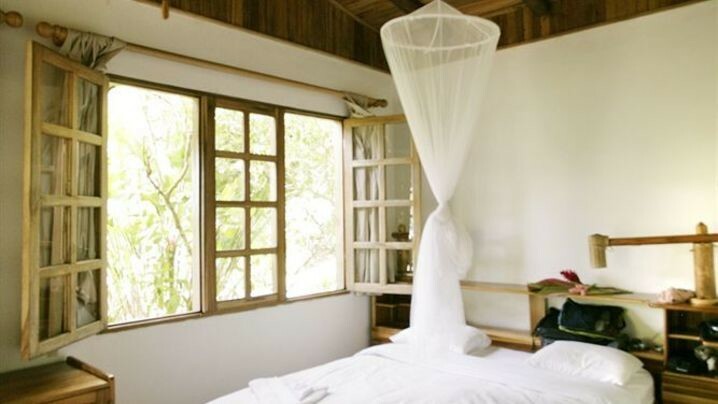 The bungalows are a bit of a steep walk away from the reception area so be prepared for that. All of the meals are nearly vegetarian, but super delicious and very fresh. In case you're wondering, the bungalows don't have A/C nor do they have screens; you can open the windows, just no screens to keep out bugs. I highly recommend the massage at Rancho Margot, it was wonderful. My all time favorite activity was zip lining - don't skip that!! Bring American cash, they accept that everywhere here (Rancho Margot, San Jose Airport, activities). I also highly recommend horseback riding and kayaking, as well as the ranch tour and the night hike. The night hike isn't really a "hike", but more of a walk around the ranch at night to see creatures - very interesting. If you're on the fence about booking this trip, DO IT! You won't be dissapointed. Marielle was a fantastic retreat leader! She planned out many thoughtful details and this was one of the best trips I've been on. The staff at Rancho Margot were also great and very helpful and friendly. Rancho Margot was an absolutely amazing location!! Be prepared for nature! So beautiful -- would definitely go again! Beautiful and inspiring trip! 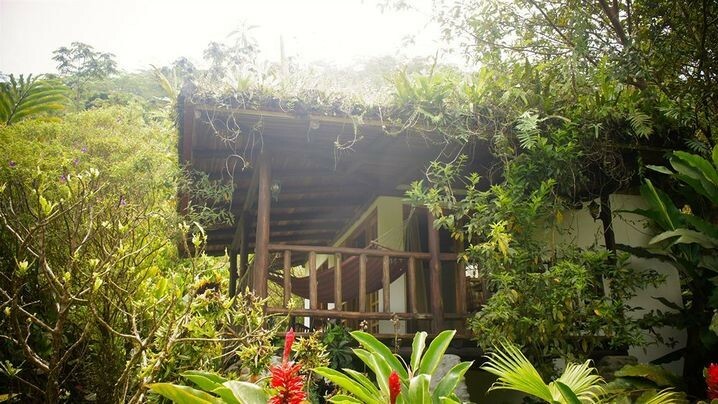 You really get the rainforest experience with rancho Margot's sustainability and Costa Rican culture! This trip was an amazing, once in a lifetime trip. Relentless Jake was an amazing leader and fitness instructor. I will definitely go on another trip with him! 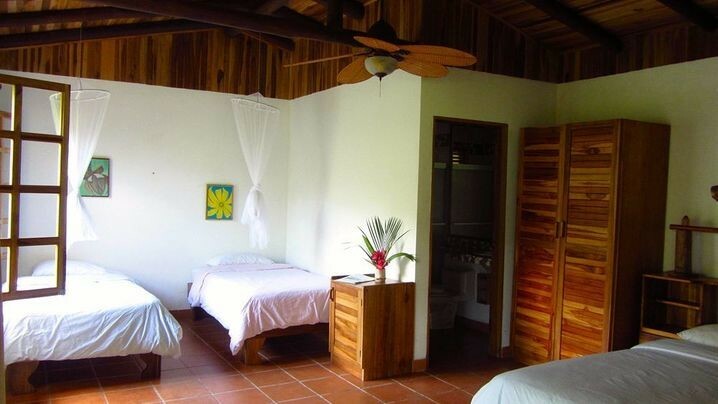 Rancho Margot is a beautiful place and the staff is so friendly and knowledgeable about the ranch and the wildlife. It is truly an impressive and relaxing place. I had the best time ever! I highly recommend Rancho Margot! The people are amazing and such hard workers. The food was way better than I expected and by the end of the week I felt so great and healthy! Beautiful location and the people at the ranch were amazing. Costa Rica is one of the most fascinating and awe inspiring places that I have traveled to so far. The amount of thought and hard work that goes into the self-sustaining property at Rancho Margot helps to provide a window into how to create a better world for everyone. The staff were the most friendly and caring people that I have ever met. The accommodations which, may seem to be minimal at first until you realize everything that went into making it possible, actually enhance the experience and help to heighten the senses. This experience may quite possibly change the way I travel forevermore. This trip was fabulous. The location was beautiful and the area was more than we could have expected. Loved it. Fantastic and amazing retreat with The Club Inhale/Exhale Tribe! We had such an amazing time and were able to have a space where people grew internally! 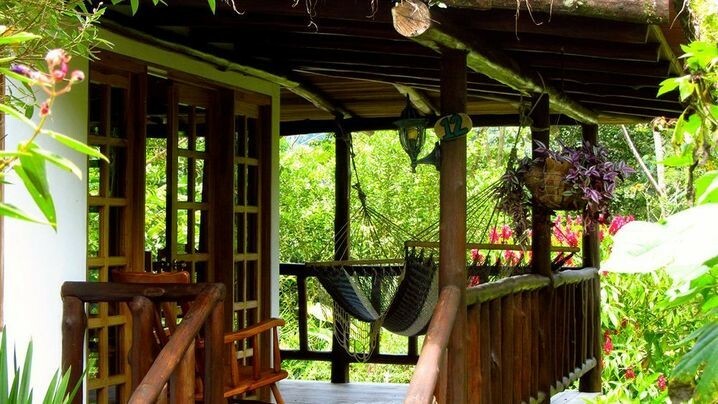 Rancho Margot is a place where life takes you back a bit where time doesn't exist on a clock but within nature! Definitely going back! Rancho Margot definitely lived up to the saying " Where the middle of now where is some where special" I loved the calming and peaceful energy the ranch had. We had so much fun! Activities were close by and when we wanted to do nothing that is exactly what we did! Truly a place to disconnect with negatives and reconnect with yourself! Cannot wait to make it back soon! Amazing place! Can't wait to go back. When I booked this trip I wan unsure of what to expect. I will tell you, I LOVED it. I have booked another trip to Sonoma this June. i did not know, how bad i need the time away and to myself. It was absolutely GREAT Kudos to the Butlers sister!!! Join Kirsten's Tribe and stay up to date on their trip!